that you will want to wear all the time! Beautiful colour. My lips feel so good too! I like the colors and find that this formulation of the lipsticks are longer lasting and more moisturizing than earlier formulations. I really like the way they feel on my lips. I love how smooth the lipstick blends into my lips. The color is beautiful and works with any make-up. I must have an acidic system since most lipsticks turn orange on me. I've found Dr. Hauschka lipstick in the brown tone does not turn orange, so I'm thrilled to buy this lipstick! The lipstick is nice, but I absolutely picked the wrong color. It is much too bright for me. I guess I should have taken the words "intense colour" more seriously. I love all of my Dr. H products; this is the only thing I have gotten that I am disappointed in. 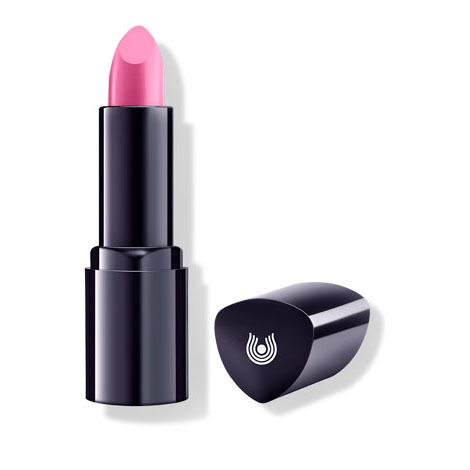 The lipstick application is very nice with a creamy coat of luscious color to my lips. I have found it to stay colorful for several hours and the application to remain fresh as well. The co!it's were beautiful but I have very sensitive skin and unfortunately had to return all of the lip products: lipstick, lip definer and lip pencil because they irritated my lips and surrounding skin. Color did not match the sample in Whole Foods and the online color, so I'm a little disappointed. I am happy with the quality of the product. Enjoy the texture. The color however is a bit too dark for me. I tend to use a lighter color on top of it. Wish I could really tell the color on line... but then if it goes on smoothly and looks good! I ordered the Bromelia lipstick. The scent is lovely and the texture is very creamy, smooth and moisturizing. My lips don't dry out from wearing it. The color is very subtle and natural. Looking forward to trying a color with a bit more of a pop to it. I loved the colors I selected. I prefer a matte finish so these were a little too luscious and creamy. Perfect if that is the finish you prefer. Many years ago was a BBrown fan but she never made a blue-based pink lipstick, only brown red. Not my color. 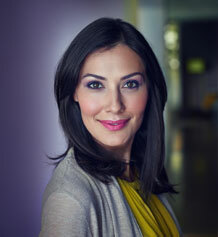 I’m always on lookout for a soft pink or lavender-rose lipstick for my fair skin & blue eyes. Dr. H. Lipsticks work well and have nice color choices. Keep my lips soft, not dry. Safer ingredients than many well-known brands & that’s a big reason to use Dr. H. too. Product is great. Lipstick is not a good color for me. Picked the color from a picture because I had never used your lipsticks. Love the colors, love the feel! I am not surprised that I love the lip color and the the moisturizing it provides because I am a fan of all the products I've tried so far! Thanks for the beautiful colors and moisture from natural products. I'm hooked! I got this as a stocking stuffer for my wife. She loved it. She said it is moistures and lasts for a really long time. I will be getting her more. This color Mandavilla is beautiful. Initially I thought "oh no too pink", but that gave way to feeling that this is just a really pretty shade. Having grey hair and pale skin, this color just brightens up my look. Wear isn't the longest, but it fades evenly without any lip ring. Beautiful color choices, and the lipstick stays on quite a while. All ingredients used in the lipstick formula are true, good, and pure, too! I’ve been more of a lip gloss girl, but I decided to try a couple of shades of the lipstick. I purchased Rosebay and Azalea. I love both colors. The lipstick goes on very smooth and has nice staying power. It’s a winner for me! Love the color but it does not stay on for long. LOVE all the lipsticks because of the moistness and healthiness thereof. This is a new color for me and looking forward to its richness! Thank you! Haven't received the lipstick yet. Hi, your order shipped on 9/24/2018 to your PO Box. It was delivered on 10/01/2018 to your Post Office. Please check in with your Post Office for more information. Thank you. Feels very good on the lips and smells good. The colors online do not match the actual lipstick at all, however. It's hard to choose colors for this reason. Great lipsticks with no lead! I started using these because they claim to have no lead as an ingredient, unlike most other brands. The colors I use are the paler ones and the texture and color are excellent. Didn't love the "frosty/shimmery" appearance but the lipstick feels nice and looks better after a good blotting. Not sure if I would order again or not. I love the smell of this lipstick as well as how it feels on my lips. I was looking for a replacement for 13 or 01 from the old lipstick line and this one was a flat orange that did not blend smoothly on my lips, but sat on the surface. There was no pink in it. Lasts longer and color is more intense than previous line! I tried 12 paeony in the new line of lipsticks. It has exactly what was missing in the older line of lipsticks: more color saturation! I love it that the color is more intense, has great natural ingredients, and does not wear off quickly! So far it is the best natural lipstick I have found. It outperforms others and even Dr. Hauschka’s previous line of lipsticks (doesn’t smudge, run, or dry out quickly). Word to the wise: the color looks just like the swatch that contains all 18 colors. However it doesn’t look like the color shown in the tube of lipstick at the top of the page. The color I chose, Bromelia, is perfect for my skin tone. Generally, the lipsticks I've ordered elsewhere haven't been long-lasting, but this is goes on creamy and rich, and has lasted much longer during the day than others I've used. Lovely texture and colors. This might not be the longest lasting lipstick out there, but knowing that I'm not ingesting toxic chemicals is ABSOLUTELY worth it! This lipstick goes on so easily. It is creamy & lasts. Color isn't as bright as I had anticipated so will order a more vivid color next time. This is the first time I ordered lipstick but definitely not the last! The 07 lipstick that I love and have used for years, is no longer available. I did not know all the numbers had changed so when I received the new #7, it was very disappointing, although I am willing to return it and try another one that might be close to the old number. Otherwise, I'll buy from a different distributor so I can try it on in person. I was so disappointed to find my favorite lipstick of all time, #7 was no longer available. I was surprised seeing as it was Elisabeth Sigmund’s favorite as well. Customer service advised me #3 was the closest to it. I am pleased with the color. It’s not an exact match and I hope to see #7 back, but this will be my go to for now. I purchased two lipsticks from this line--- the 01 Rosebay and the 09 Chessflower. The rosebay was really really light pink and does not suit my coloring. The Chessflower was a beautiful deep color and perfectly compliments my coloring. Great ingredients and color on both products. I really like the colors and how this lipstick feels on my lips. It doesn't dry the lips once it wears off. The amaryllis is the perfect red with pink undertones for pink skin tones and is great for a night out. The camellia is a light pink great for daytime wear. I took a risk and ordered the Chessflower, a bolder color than my usual more neutral choices. It is luscious! For me it wears best with a lipliner. Absolutely loving this product and this color! It stays throughout the day and doesn't leave stains! like it a lot. color stays on without too much drying the lips. The moment I opened the cap to my new Fusha lipstick, the natural aroma got to me. I’m definitely changing over my lip stick brand to Dr. Haushcka, especially after my first day wearing it. Kept my lips hydrated, and the color stayed on splendidly. If I can't get to the Dr. H. lip balm, this is moist enough by itself. I wear it paired with a lip liner covering the whole lip. Using the 2 together, it stays on a bit longer. Great colors, especially the Caralluma. also great as a blush ! Good quality lipsticks that don't dry-out your lips! I purchased this lipstick in Dahlia and Paeony. I like both of them and found the colors to be true to those pictured online. I did find it slightly frustrating trying decide which colors would work best for me. I wish there was a "tester" pallet that I could purchase to be able to try all the colors. Until that exists, I would recommend giving them a try anyway, as I found the colors to be beautiful and classic. One of my biggest complaints from my prior "premium brand" lipstick was that it dried out my lips. The Dr. Hauschka lipsticks do not do that. I use the "Red Heart" lip liner with both of these colors and it works well. I also love knowing that the lipsticks are made with natural, high-quality ingredients. Goes on smoothly and doesn’t run. I truly love the new lipstick formula Dr. Hauschka rolled out this year; it's creamy, rich, and the color is true to the shade shown online. My favorite is Shade 14 ? Caralluma. It's not greasy, stays in place and compliments my skin tone perfectly! I have three different color of these series and i love them all, mainly because they are very moist and makes my lips look full. I use Mandevilla and Camellia during the day and Azalea for evening. My favorite is Mandevilla.